HIL Notification 2019.HIL (India) Limited, Rasayany has released a notification for the recruitment of Trainees in the following Discipline/ Trades.Check the eligiblity and notification prior to apply for the positions. Qualification: ITI/ Any Degree/ PG (Relevant Discipline). How to Apply:Filled application form along with attested copies of certificates may be forwarded to Dy. 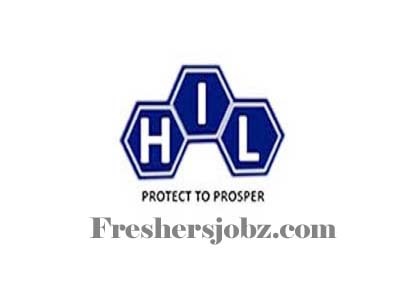 General Manager(HR & Admn), HIL (India) Ltd., P.O. Rasayani, Raigad, Maharashtra. Last date for application: 15.04.2019.